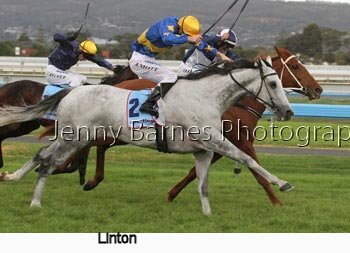 The biggest day of the SA carnival featured 8 black type races on the program - the was no Black Caviar in attendance but a quality line up of runners and one of the most compact finishes to a Goodwood in recent times. 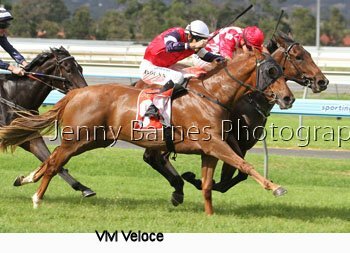 The National Stakes for 2yos started the program and it was the fast finishing Vivi Veloce who was too good in defeating Iconic and The Huntress. 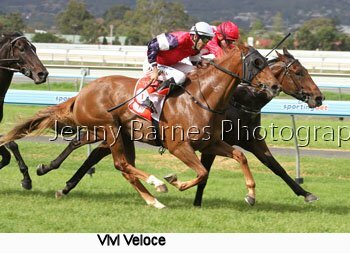 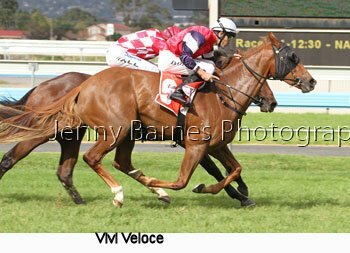 Vivi Veloce had finished close fifths are her only two previous starts coming from last and is considered Melbourne Spring Carnival quality by many good judges. 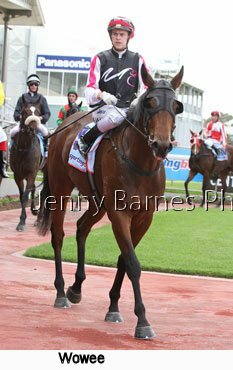 The second race was the SA Fillies Classic now a Group 3 race but was formerly the Group 1 SA Oaks until a few years ago. 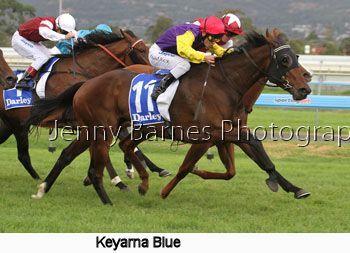 The race featured Summerbliss who was third in the VRC Oaks last spring before being unplaced on a bog track in the ATC Oaks, La Zuma had also run in VRC Oaks last spring and was third in the Group 1 Australasian Oaks while a number of lightly raced winning fillies were being sent over the longer distance including Averau (winner of 2 from 4), Lets Made Adeal (her grand dam was Lets Elope), Wowee (winner of 2 of her last 4 starts), etc. 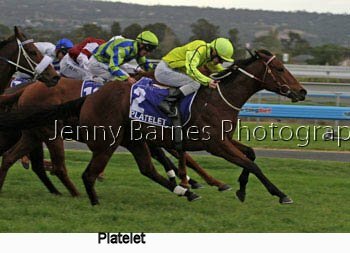 In the run to the line it was a 4 way go with Wowee overcoming a fair bump to go home just too strongly for Let's Make Adeal with Summerbliss between them third while Proper Madam was 4th and Averau 5th. 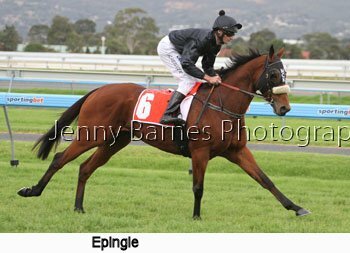 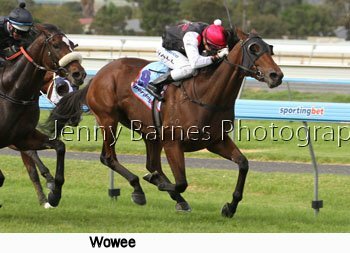 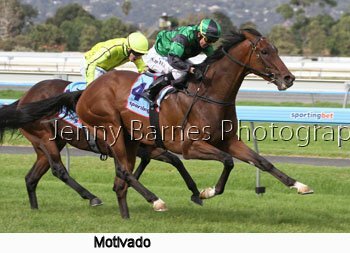 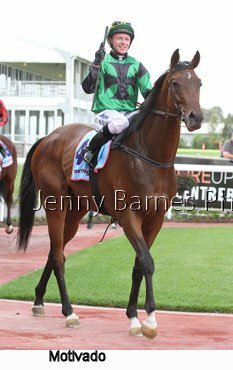 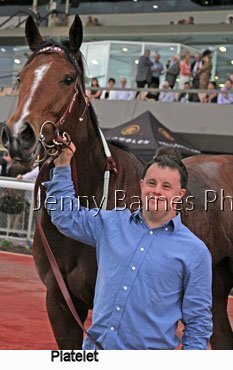 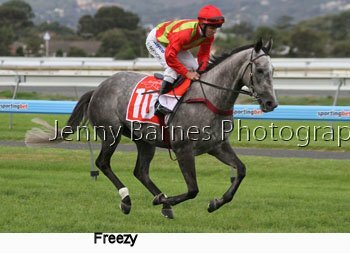 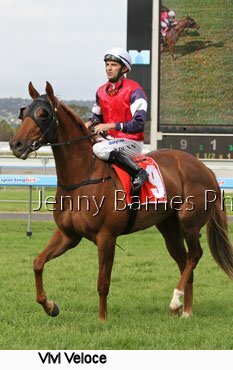 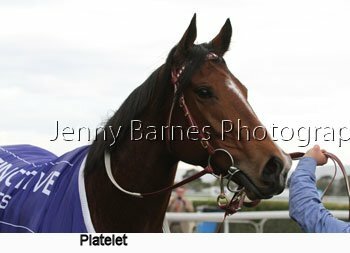 By Choisir from the Zabeel mare Zeal Wowee is trained by John Sadler of Victoria as the interstate blitz of the day began. 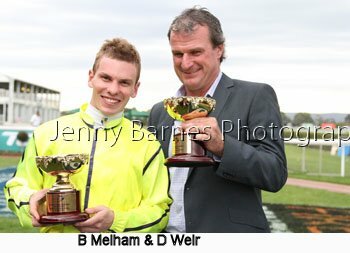 The Queen's Cup is a race that is run in each State in Australia replacing a similar race every 5 years. 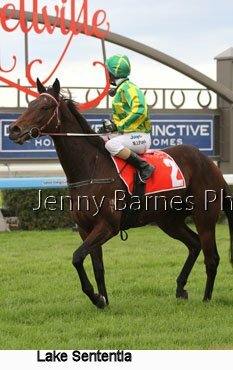 Run in Adelaide this year it replaced the Port Adelaide Cup and featured a UK import that had run 4th as favourite in the Ebor Hcp last year - a race that is often a pointer to the Melbourne Cup. 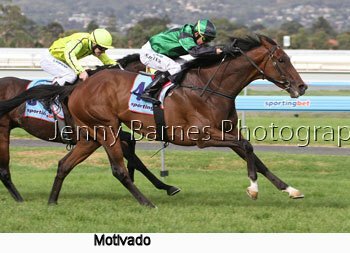 Motivator filled expectations by overcoming a gallant Shiny Buttons with a gap to Finiguerra third. 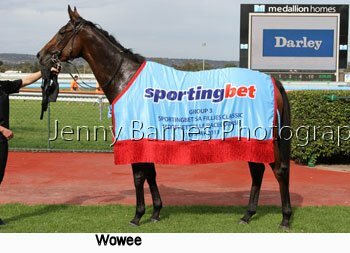 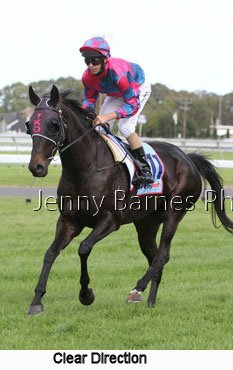 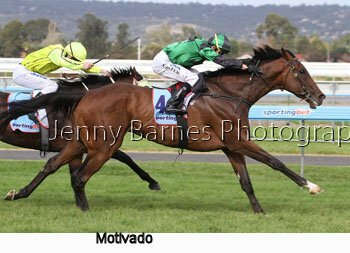 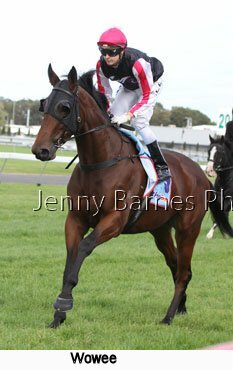 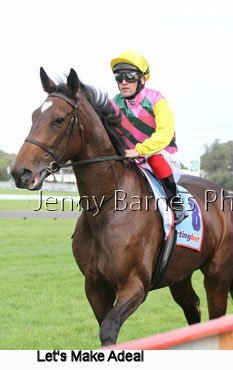 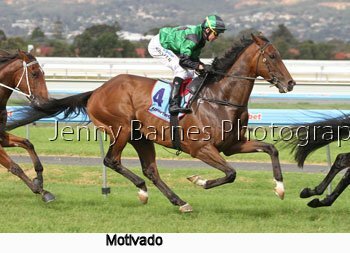 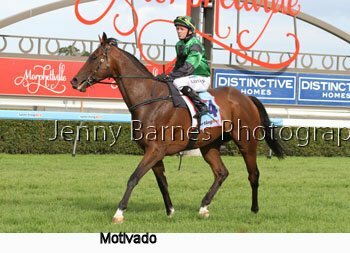 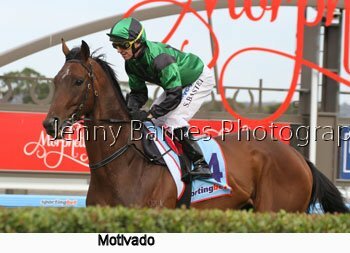 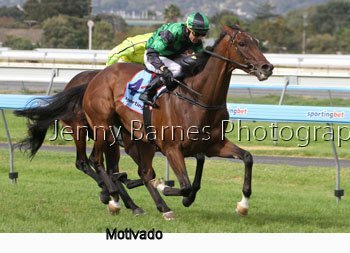 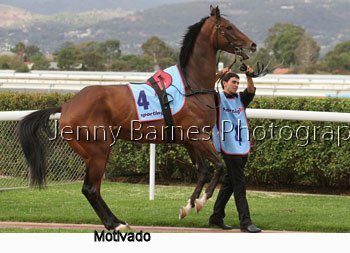 From the Victorian stable of David Hayes Motivator was having his second run in Australia and is now qualified for the big spring Cups and takes his record to 16 starts for 4 wins and 3 placings. 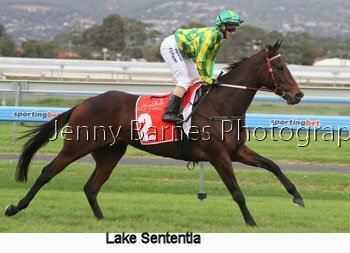 The Centaurea Stakes for the mares was next where Lake Sententia continued Victorian D Weir's great strike rate at the carnival in winning decisively from Epingle with Oui Si Attitude third. 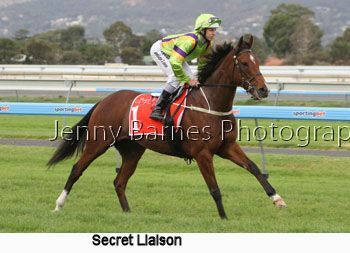 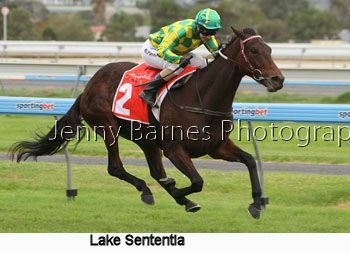 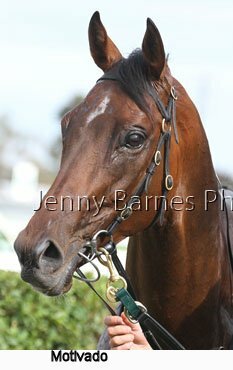 Lake Sententia took her record to 11 starts for 5 wins and 3 placings. 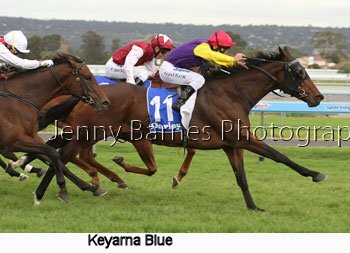 From the Victorian stable of P Hyland Keyarna Blue finished hard down the outside to take out the Laelia Stakes for 3yo fillies from Hazard with Mama's Choice third. 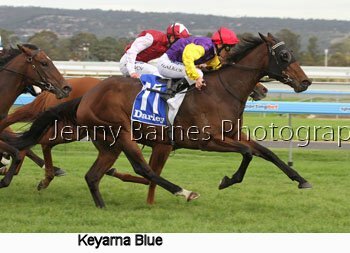 Lightly raced Keyarna Blue has now won 2 races from 4 starts and is yet another showing promise for the future. 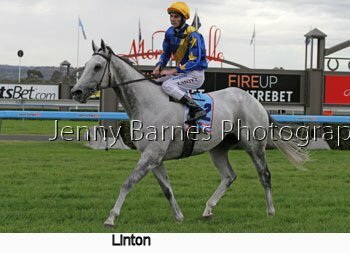 The RA Lee Stakes is a race that just continues to improve in quality and this year Linton returned to try and win his second in a row after a spring campaign that included the Turnbull Stakes, Feehan Stakes, Cox Plate and first up this campaign an unlucky 5th behind Black Caviar. 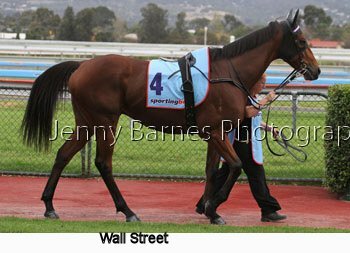 Also in the field was the wonderful Group 1 performer from NZ in Wall Street plus the very talented Lucky Penny who had previous won 4 of her 5 starts while former Adelaide Cup winner Rialya continued his return after a break. 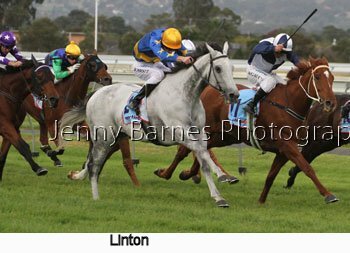 IN the straight Linton strode up to Lucky Penny but the mare fought back strongly and it took until the last few bounds for Linton to push his nose ahead to win narrowly. 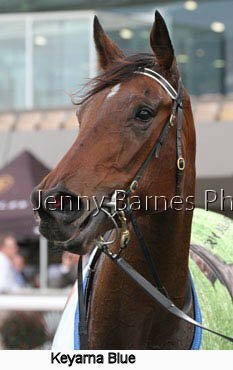 General Peekay was doing his best work closer to the rail in third place while Danish Spy was 4th. 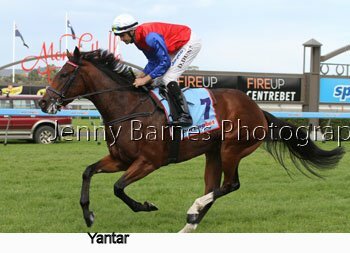 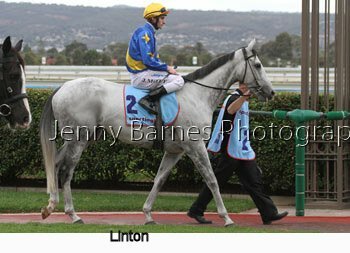 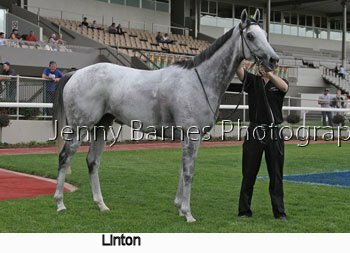 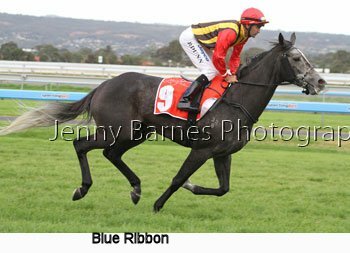 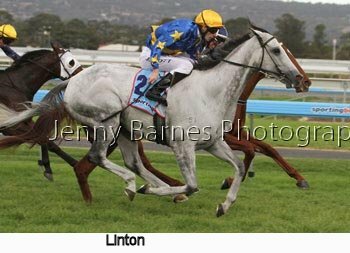 Linton made it a double for the John Sadler stable and takes his record to 23 starts for 6 wins and 6 placings and over $1 million in prizemoney. 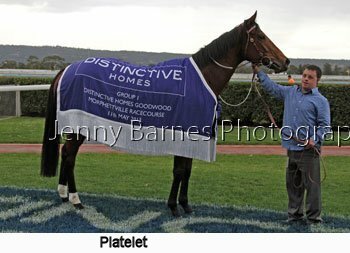 AS the skies started to darken it was time for the main race of the day where most of the attention was on Moment of Change (a Group 1 winner who was second to Black Caviar in the record breaking LIghtning Stakes before being nosed out on the line in the Newmarket Hcp) while Platelet was back trying to emulate Black Caviar who took out both sprint Gr1s in Adelaide last year, multiple Group 1 winner Yosei was also returning after the Sangster Stakes while Facile Tigre had travelled from Brisbane (at his previous run he was second in the Oakleigh Plate after a long spell) and General Truce was trying to make it 3 in a row after previously winning the DC McKay Stakes lead up. 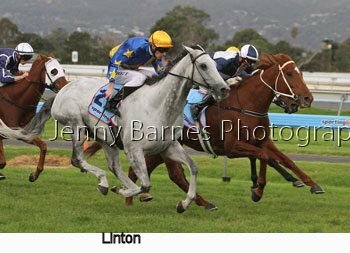 Other established performers in the field included Perturbo, Zedi Knight plus talented locals such as Karacatis and Riziz amongst the big field. 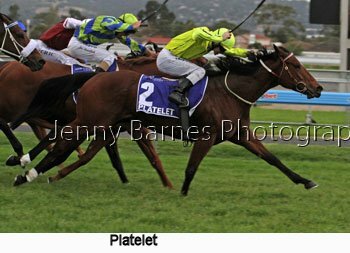 Conservatorium who had previous former behind Power Princess and Barakey hit the front well into the straight from Altar with Karacatis making ground closer to the fence but it was Platelet who once out and balanced charged home down the outside to put the race beyond doubt right before the line defeating Conservatorium with Altar third Karacatis fourth and Moment of Change fifth after slightly missing the start. 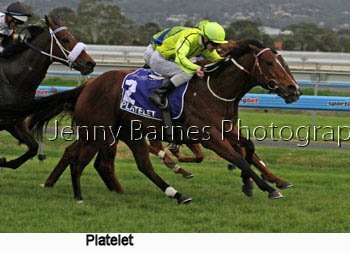 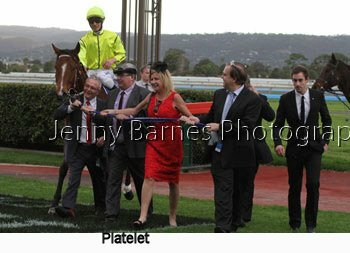 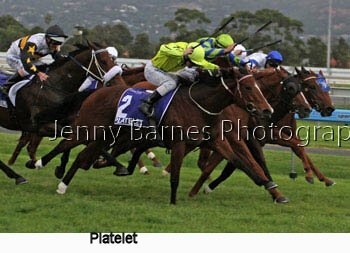 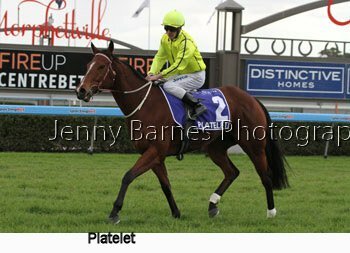 Platelet has now won 7 from 19 starts and has been placed 10 times and and is now fulfilling her early promise - in winning she also brought up a double for the D Weir stable. 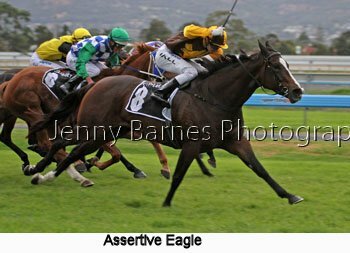 The last race was the Proud Miss Stakes for the fillies and mares and was taken out by the fast finishing Assertive Eagle from Just Discreet and Embark. 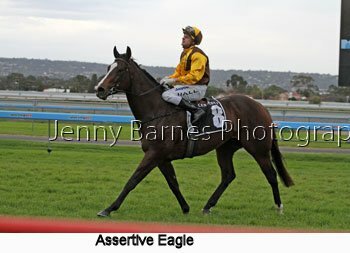 Assertive Eagle was only the second SA trained winner for the day and took her record to 16 starts for 4 wins and 7 placings.